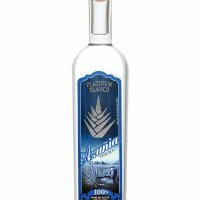 Guadalajara, Mexico – The Mexican company Vinos y Licores Azteca has launched a special edition of Tequila under the brand name El Conde Azul, which contains flakes of edible gold and silver, company executives said. The high-end liquor will be marketed in Mexico beginning in April, and will later be exported to the United States and Europe. As an innovation in tequila production, the company has dropped into its golden-colored "reposado" (rested) and "añejo" (aged or vintage) categories, flakes of real gold that can be digested, as well as silver flakes in its white tequila. The liquor is presented in a handmade Italian crystal bottle with a 24-carat gold label and contains 100-percent agave tequila distilled in the artisanal manner in the Los Altos region of the western state of Jalisco. Unlike the hundreds of bottles displayed on the shelves of stores everywhere, this tequila follows the European taste for edible gold, a luxury dating back to ancient times that the company intends to spearhead in Latin America. Gold was apparently used by the Egyptians and Chinese in their food and it has now become a feature of some European products, according to Melly Barajas, president of the distillery. She said that the golden aggregate has neither aroma nor flavor, represents no danger to the body and even has medicinal properties, favoring the circulation and acting as an antioxidant. The new tequila is backed by certificates of quality from the United States and the European Union. El Conde Azul was awarded the gold medal for quality at the 2009 International Wine and Spirit Competition. The first shipment will consist of 5,000 bottles, to be distributed chiefly in Mexico and partly in the United States, Canada, Belgium, Britain and other parts of Europe. The company already plans to make the product a permanent feature of its catalogue. "We’re in the forefront of tequila production. Whoever buys this bottle is acquiring a fine drink as well as an innovative, glamorous product," Barajas said.